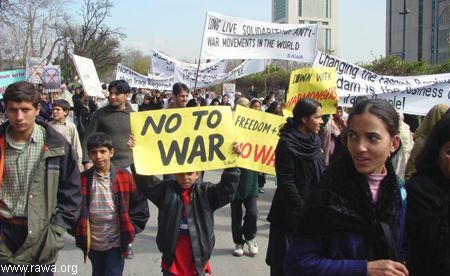 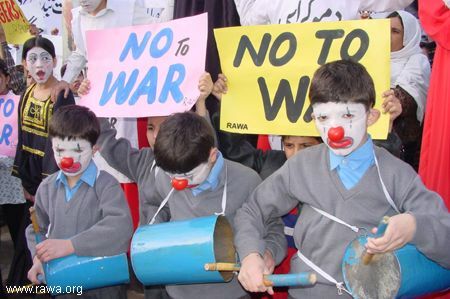 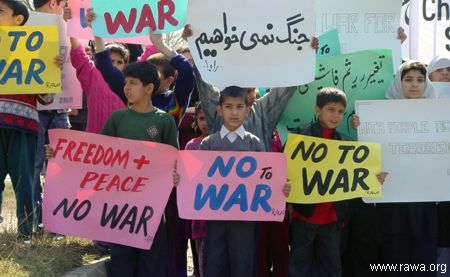 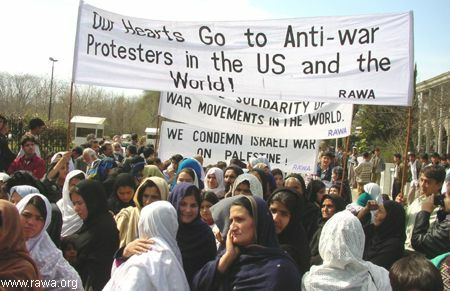 To protest against possible war on Iraq, RAWA staged a demonstration in front of the UN main office in Islamabad. 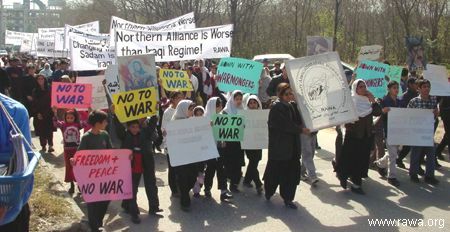 Hundreds participated in the demo. 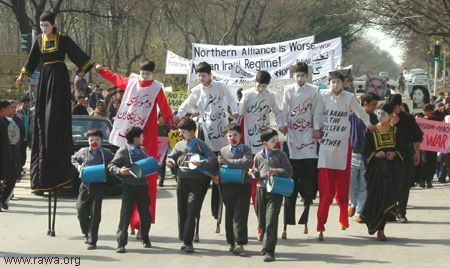 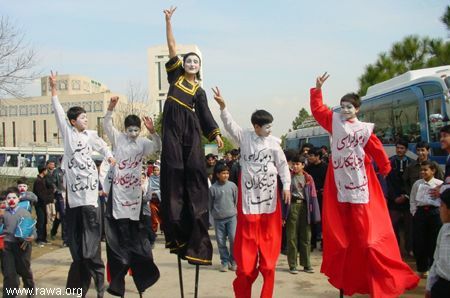 A group of students from RAWA orphanages perform street theatre during the demonstration. Paulina Almeida (L) a Portuguese actress directed the performances. 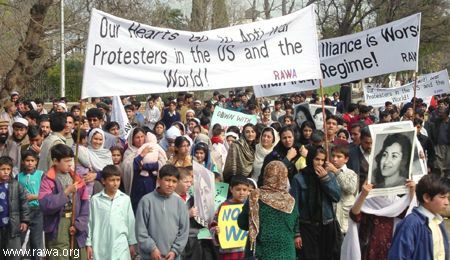 Some other Afghan organizations also joint RAWA demonstration. 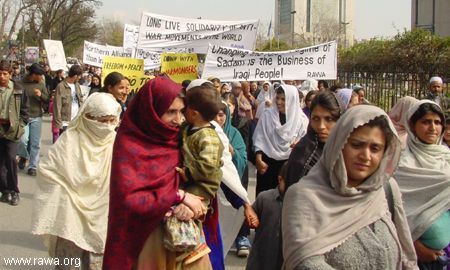 One of the slogans in Farsi: "Changing the Fascist Regime of Sadam is the Business of Iraqi People!" 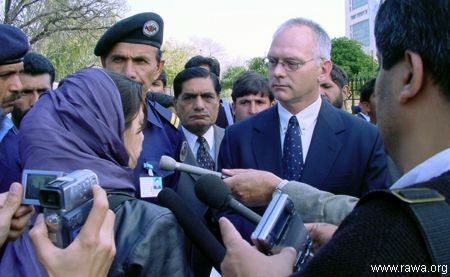 A RAWA spokesperson talking with a UN official in front of the UN office. 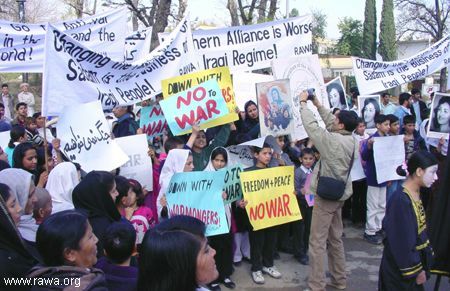 She presented a memorandum to the UN and expressed RAWA's concern and protest against war on Iraq. 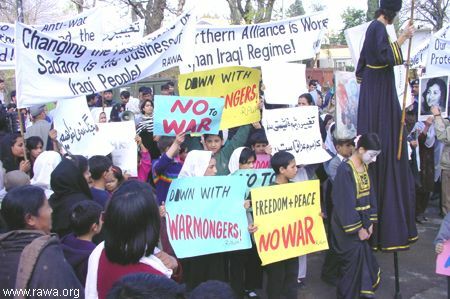  "Northern Alliance is Worse Than Iraqi Regime!"